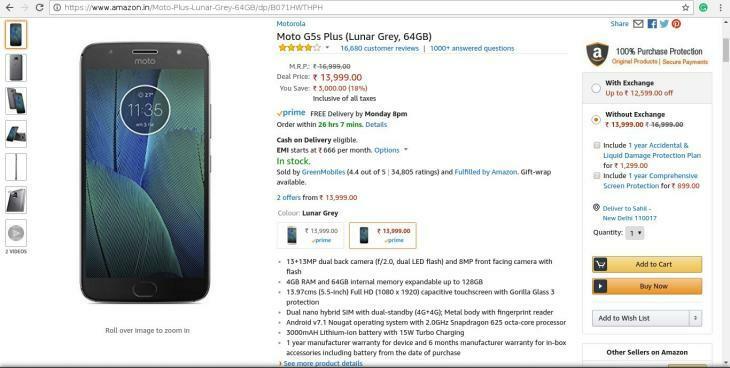 Believe it or not: @amazonIN's #GreatIndianSale is a sham. Prices are higher than at launch and are given large discounts to look appealing! 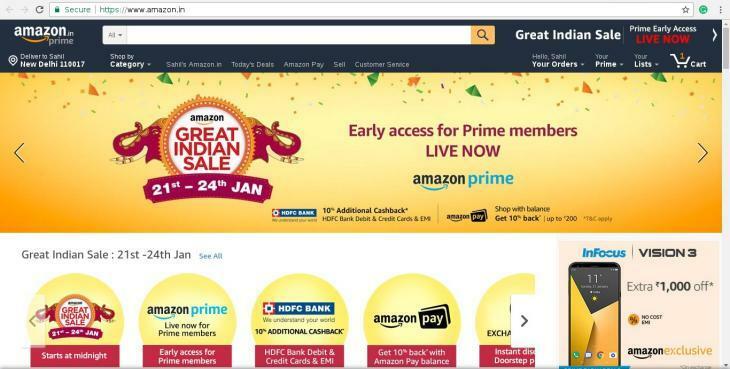 E-commerce giant Amazon's Great Indian Sale goes live at 12 AM on Sunday, 21 January. Amazon offers great deals on a range of items from smartphones to home appliances, from clothes to everyday essentials. As usual, customers needn't wait long for the deals to be revealed. While customers usually get excited by another sale, even if they end up buying nothing, there are many reasons why this sale doesn't cut it. Avoid is the word everyone should be looking for when talking about this round of sales from Amazon India. There are some additional offers like 10% cashback for HDFC Bank customers (maximum cashback Rs. 1,500) and 10% cashback for paying via Amazon Pay (maximum cashback Rs. 200). None of that matters when the deals themselves are simply a sham. While there might be some deals that are worth it, here are three deals from the smartphone category that just don't cut it. LG launched its flagship smartphone, the LG V30+ in the Indian market on 14 December 2017. Just over a month later, the smartphone is already on sale during Amazon's Great Indian Sale. Sadly though, the amazing 25% discount amounts only to the launch price of the device. Amazon is inflating the price of the product (above the selling price announced by the South Korean company) and then discounting it. Nokia launched their entire budget and mid-range lineup for 2017 at an event in New Delhi on 14 June 2017. While the Nokia 3 (Rs 9,499) and Nokia 5 (Rs 12,899) were offline exclusives, it was the Nokia 6 (Rs 14,999), an Amazon India exclusive, that caught everyone's attention. 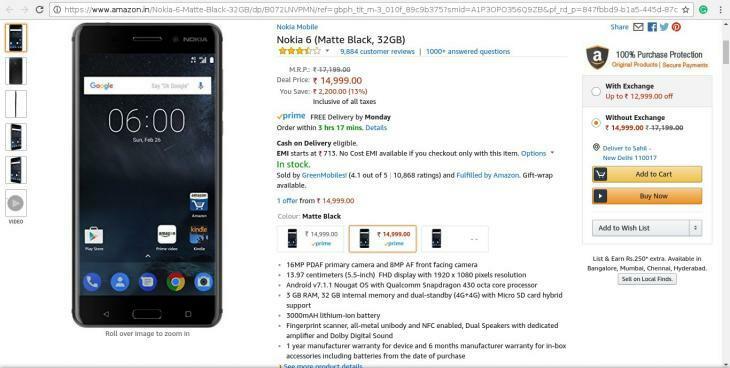 Just over 7 months later, Amazon India is trying to woo fans of Nokia with a stunning deal on the Nokia 6. With a price of 14,999, customers can enjoy a healthy 13% discount on the original selling price of Rs 17,199. Amazon India is selling the phone at a higher price than when it was launched just over seven months ago. Traditionally, electronics depreciate with time and companies announce permanent price cuts. Amazon India has gone and done the opposite. The price is higher than what it was at the time of launch. At the time of launch on 15 March 2017, Moto G5S Plus was announced as a Flipkart exclusive. Just under a year later, the 32GB variant is selling on Amazon India. The 32GB, Fine Gold variant, is selling at Rs 13,999. Great deal, you may think. Well, it isn't, actually. 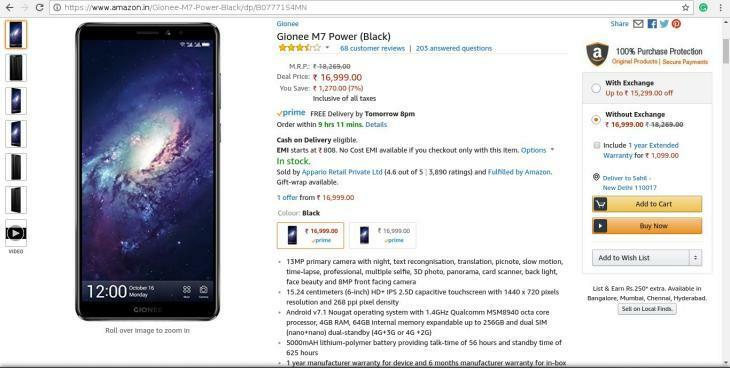 According to the Amazon India page, the smartphone's price is Rs 16,999.00, which translates to a whopping 18% discount. Just take another look at it. The discount is a price that is a whole Rs 1,000 higher than the launch price. Again, Amazon India defying the laws of depreciation and economics. Gionee launched the M7 Power with a whopping 5,000 mAh battery on 16 November of last year. Today, Amazon India is discounting its price, from Rs 18,269 (above its launch price) to a mindboggling Rs 16,999. 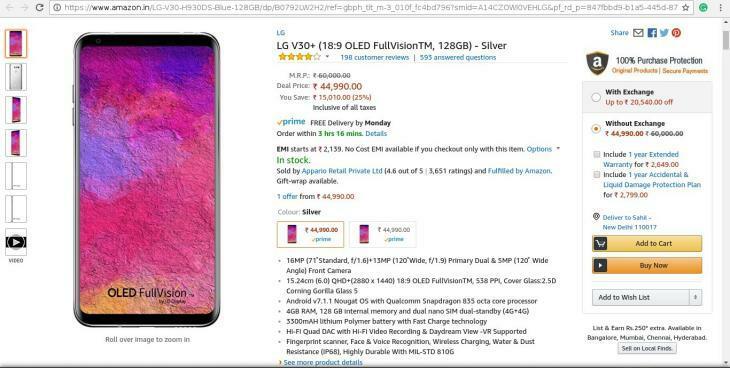 It's a steal, Amazon India would say. Savings of 7% during the Great Indian Sale. Grab it while its hot. One can point out many other sales that are swindling the customer, but three is just enough to point out the con that is the Amazon Great Indian Sale. Be cautious when looking for a deal and don't get caught up in the excitement. Some deals are just too good to be true. Simply put, these deals are bogus. Remember one thing though; Amazon India isn't the only one that inflates prices. Flipkart and other e-commerce sites indulge in this kind of trickery as well. Make an informed decision before pulling the trigger and hitting the 'buy now' button on a product whose price looks very appealing. TWEET THIS LG launched its flagship V30+ in India on 14 December 2017 at Rs 44,990. 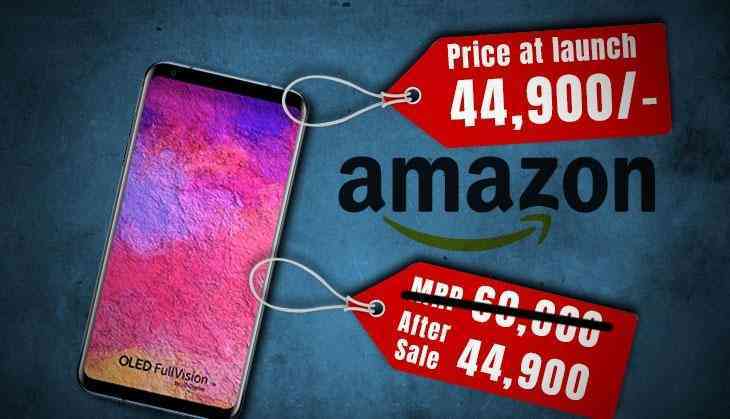 Today, the product is on sale, at that exact price point for a whopping 25% discount Believe it or not: @amazonIN's #GreatIndianSale is a sham. Prices are higher than at launch and are given large discounts to look appealing!